Larry Edward Marte of Parshall Colorado passed away in the early morning on May 25, 2018 in Kremmling. Larry was the son of Leo and Eunice Marte, born April 17, 1943 in Denver Colorado. He was raised on the family Ranch south of Granby which was homesteaded by his Grandparents Liberat and Bertha Marte in 1912. The Marte homestead produced cattle, milk, cream and had a lucrative timber business. In addition to feeding cattle and the other chores during the winter months they would load multiple cans of cream on a horse driven sleigh for delivery to the Rohradner ranch. To keep the coffee warm they wrapped the cans with newspaper and used rocks warmed from the oven to keep their feet warm. Eventually the cream was driven to meet the train to Denver. Due to the heavy snow in the winter, Larry spent winters with his grandparents who lived in town so he could attend school in Granby. He was a All State Football player and was in Basketball and Track throughout High School years, graduating in 1961. After High School Larry worked on the family ranch and married Judy Taylor. To this union was born Shannon, Lane and Amber. The family eventually moved to Idaho Springs where Larry worked for Coors for several years. Larry was heavily involved in the Idaho Springs Elks Lodge and was a Exalted Ruler. Often he talked about his job at the Amax Henderson Mine where he worked in Empire Co. which he enjoyed very much. Through time Larry separated from his first wife and eventually met the love of his life, Jann Drury from Lawson Colorado. She brought to this union Korby, Greg and Shelby. With their six children Larry and Jann moved to the Dahley Ranch on Highway 40, Parshall Co in 1974. Larry was very proud of his strong work ethic and dedication to his family. He had several other jobs including the County Road and Bridge Dept., Penfield Construction Co, and Ernie Shearer. His love of animals was shared with his kids working and raising milk cows, chickens, geese and ducks, turkeys, rabbits, horses, and steers. The kids were heavily involved in 4-H which Larry and Jann supported and enjoyed! Also he was a huge fan of the activities at West Grand Public schools always supporting all kids! He reveled in the opportunity to coaching summer sports and always helping and being involved in all of the kids activities! The Parshall Ranch was known to have an open door, good food and conversation. Everyone was always welcome! Larry hunted to provide for his family. 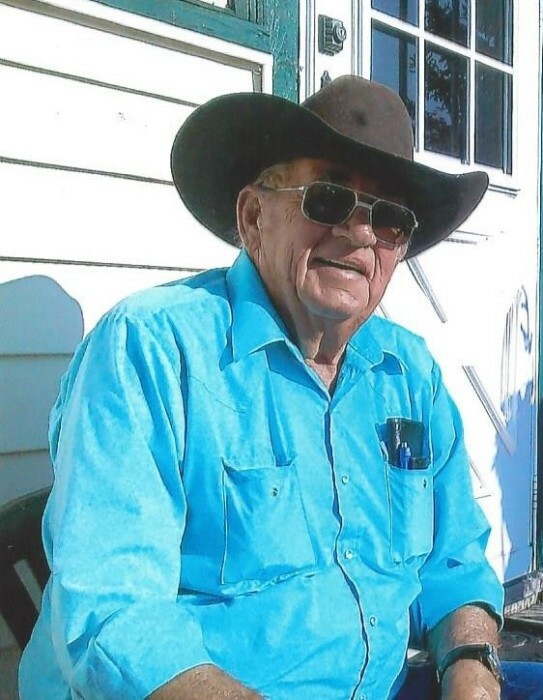 He was an avid Elk hunter and fisherman who respected and loved the Rocky Mountains which he called his home. Elk season was as big as any holiday at the ranch with family including the Danials brothers. Larry had a love of the mountains, a childlike belief and hope in all people and situations around him and a unique humbleness. His optimism was contagious and his sense of humor always prevalent through out his life and to his final days. Tim Danials who was his life long friend/brother often told stories of Larry's shenanigans such as the 1960 horse back camping trip. Tim’s horse kept kicking at something as they started on their two day camping trip. Finally, Tim got off to check what was amiss to find nothing that could irritate his horse. Eventually he turned back and caught Larry with a huge grin and a fishing pole poking his horse in the flank! One hunting season Tim had killed his Elk and had returned to the Jeep to get the guys. They all started back and heard a big crashing noise which they were sure was an Elk. Upon arriving in the clearing there was Larry with that huge grin as he had just rolled a large rock down their way! Anyone around him knew to always be on the look out for a joke or a prank. Larry was preceded in death by his grandparents Liberat and Bertha Marte, Parents Leo and Eunice Marte his wife Jann Marte and two children, Shannon Peterson and Greg Kline. Larry passed his sense of humor, love of animals and great work ethic on to his family that survives him-Son, Lane Marte and wife Cindy, Daughters, Shelby Price, Korby Kline and Amber Peterson. His grandchildren-Kohlton Price and wife Megan, Kylee Price and Kade Price, Kirsten and husband Matt Pine, Tyler Kline, Sarah and husband Mackenzie Widner, Timothy Kline, Jacob, Celeste and Megan Setliff, Catherine Crow and Amber and husband Steven Ray. Great grandchildren Destiny, Dominic, Korbin and Malcolm Widener. Larry was surrounded by so many very wonderful and caring friends who helped make his life full and enjoyable! Close friends and family are invited to wear jeans and share fond memories at Larry’s Celebration of Life. It will be held at 9 A.M. on Saturday June 16, 2018 at the Parshall Ranch on Highway 40.